Eversharp Skyline fountain pen with jet black barrel and section. The cap is gold filled with grooved pattern. 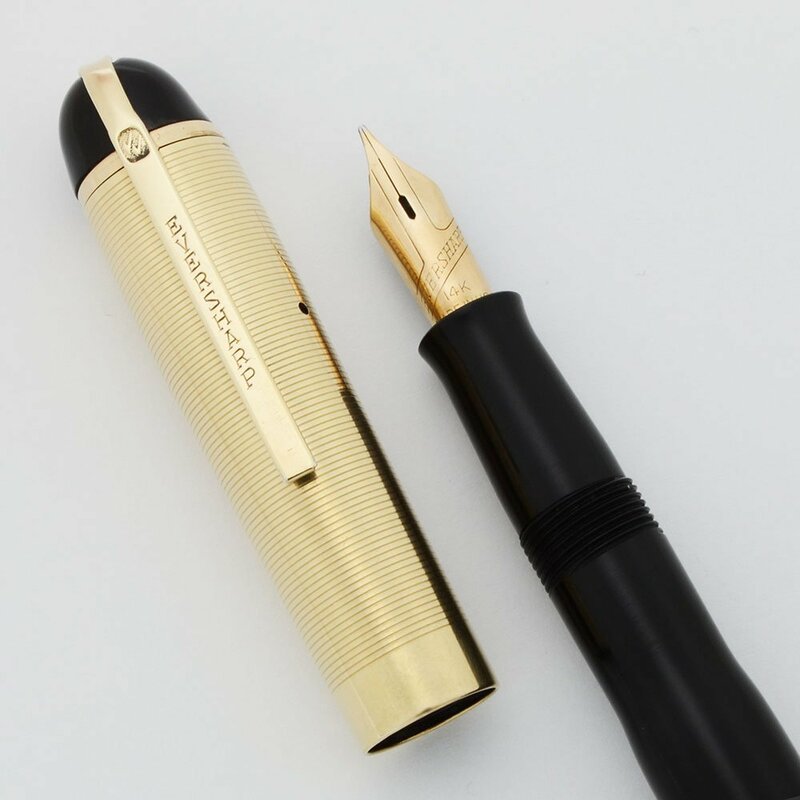 Medium manifold 14k nib. Superior condition, working well. Color Jet Black body and derby. The cap is gold filled with a grooved pattern. The trim is 1/10th 14k. Nib MEDIUM 14k nib. It is only slightly springy and writes smoothly. No line variation, manifold nib. The tipping is generous and the pen will write like a modern medium, though it might have originally been considered a broad. Condition Superior condition. There are no scratches or spots of major plating wear. There are a few marks on the cap and derby but the cap lip is round. The imprints are clear and the pen is working well.